CarGurus has 18,066 nationwide Sierra 2500HD listings starting at $3,500. 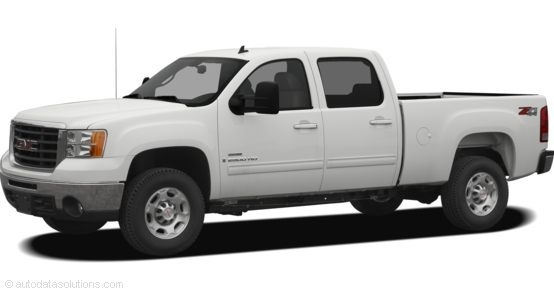 With 13,000 pounds of towing power, the 2008 GMC Sierra 2500HD outperforms all other pickups in its segment. And it does so while looking good and feeling good, according to critics and owners. The three-quarter ton, full-size heavy-duty pickup gets few changes after last year's refresh, but does add standard XM satellite radio to all trims and a power driver's seat in all Regular Cab sizes. A prominent front grille and logo, flanked by large jeweled headlights announces the Sierra 2500HD's arrival in your rearview mirror. 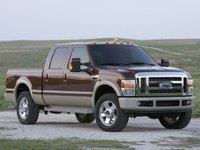 The pickup comes in Work Truck, SLE, and SLT trims, each available in rear-wheel or two types of all-wheel drive -- part-time or automatic. Low-range gearing and an optional Z71 off-road suspension allow you to take this monster off the beaten path. There are also three cab sizes. Two-door Regular seats two or three, the Extended cab has two rows and reverse-hinged rear doors, and the Crew cab features two rows for six with four regular-sized doors. Choose from two different bed sizes (6.6 and 8 feet) and two different engines. The standard powertrain, which receives numerous accolades, is a 6.0-liter, 353-hp V8 with 373 ft-lbs of torque, matched to a 6-speed Allison automatic. You can also opt for the turbodiesel 6.6-liter V8 that gets 365-hp and 660 ft-lbs. The Work Truck is basic, but starts out with power features and a Pure Pickup interior (dual glovebox, easier to grab controls and handles, more storage), while the SLE adds a few more conveniences, such as cruise control. The SLT features a Luxury interior, with leather and chrome trim and heated seats. All trims offer ABS brakes, OnStar, dual front airbags, and a CD/MP3 layer. 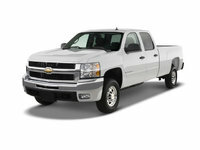 There are nice options such as a DVD player, navigation system, sunroof, and rail tracks for the pickup bed. The dash is set lower into the floor for better overall visibility, and two-row cabs are configured in stadium-style seating so rear passengers sit higher up. Rear seats also split-fold. The lack of stability control and standard side airbags (these can be added) and low fuel economy aren't appealing to owners, but these negatives don't seem to make a dent in the 2008 Sierra 2500HD's reputation for a smooth quiet ride, great handling, superior towing capability, and refined interior and equipment list. What's your take on the 2008 GMC Sierra 2500HD? Users ranked 2008 GMC Sierra 2500HD against other cars which they drove/owned. Each ranking was based on 9 categories. Here is the summary of top rankings. Have you driven a 2008 GMC Sierra 2500HD? What would be the max hitch weight for a 2008 sierra 2500 hd. I'm shopping for a 5th wheel.